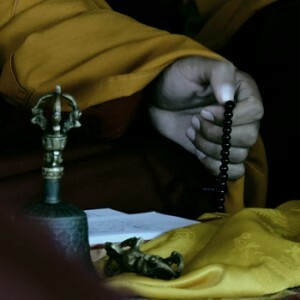 If one were to follow the tradition of the great Indian pandits, it is not until a practitioner has mastered the fundamentals of Buddhism that he or she engages in a Dharma Protector’s practice. In this day and age however, Dharma Protector practices are regarded as essential because of the immense obstacles and distractions that practitioners face when engaging in basic Buddhist practice. That Dharma Protector practices are regarded as essential does not negate the importance of other practices. 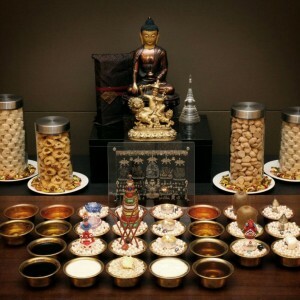 It certainly does not suggest that Dharma Protector practices can or should be practised in isolation to replace all of the Sutric and Tantric systems of Buddhism. Why? Because the ultimate protection comes in the form of extinguishing all our karma. When we have extinguished all our karma, we no longer possess the causes to be harmed or affected by negative beings and interferences. In relying upon the stainless Sutric and Tantric systems of Buddhism, we can accomplish this extinguishment of our karma. 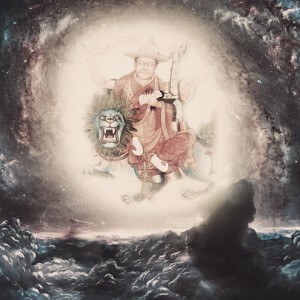 So, although a fully enlightened Dharma Protector like Dorje Shugden can be relied upon as a main meditational deity (yidam), even Dorje Shugden himself advises practitioners to rely on a Spiritual Guide and to delve deeper into Buddhism, to truly understand the reasons why they continue to face obstacles. Only upon understanding this will we once and for all accomplish the methods to fully eliminate the causes for our suffering. Having thus met with this Dharma Protector’s practice, some may wish to pursue Dorje Shugden’s advice to develop their spiritual path. The easiest way to do so is to find a Spiritual Guide, otherwise known as a Guru or teacher. The importance of a Spiritual Guide in one’s path cannot be overstated. Simply put, a Spiritual Guide will assess our practice and our minds, and nurture us along the path to Enlightenment and recommend to us the relevant resources along the way. Teaching us through practice, knowledge and example, a Spiritual Guide also provides us with a model for appropriate spiritual behaviour. They help to answer our questions, quell our wrong views and clarify our thoughts. Our Spiritual Guide is a mirror for our qualities, highlighting our positive attributes and shortcomings such that we may recognise then break our habituations which create our constant state of dissatisfaction and unhappiness. For this reason and many others, practitioners who are serious about their path will often say that their teachers are the foundation of all good qualities. This is the most basic description of the purpose and role of a Spiritual Guide. What a practitioner should look for in a teacher, and the benefits of having a Spiritual Guide is a substantial topic in and of itself. A disciple with sense should not accept as his Guru someone who lacks compassion or who is angersome, vicious or arrogant, possessive, undisciplined or boasts of his knowledge. (A Guru should be) stable (in his actions), cultivated (in his speech), wise, patient and honest. He should neither conceal his shortcomings, nor pretend to possess qualities he lacks. He should be an expert in the meanings (of tantra) and in its ritual procedures (of medicine and turning back obstacles). Also he should have loving compassion and a complete knowledge of the scriptures. He should have full experience in all ten fields, skill in the drawing of mandalas, full knowledge of how to explain the tantras, supreme faith and his senses fully under control. Care should therefore be taken when choosing a teacher. A teacher should be transparent about his background, education and lineage, and whom he has received teachings and empowerments from. This is highly recommended in one’s selection of a Spiritual Guide because when a teacher comes from an authentic lineage, the practitioner benefits from authentic Buddhist study. Through a qualified Spiritual Guide, the practitioner also receives the blessings of all the lineage gurus who precede one’s teacher, blessed because they gained attainments as a result of practising the very same teachings we now study. 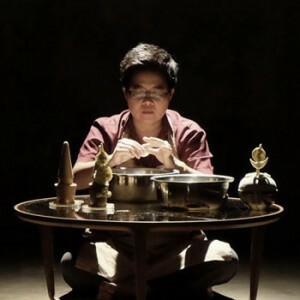 In the case of His Eminence the 25th Tsem Rinpoche, for example, his root Guru is His Holiness Kyabje Zong Rinpoche whose root Guru was His Holiness Kyabje Trijang Rinpoche, also known as the junior tutor of His Holiness the 14th Dalai Lama. Kyabje Trijang Rinpoche’s root Guru was His Holiness Kyabje Pabongka Rinpoche, and so on and so forth, traced all the way back to the original Buddha Shakyamuni from whom all Dharma teachings in this age stems. Once a student has spent a suitable amount of time examining the qualities of the teacher, and the teacher has examined the student, a Guru-disciple relationship is forged. Dorje Shugden’s lineage was passed from Tagpu Pemavajra to Pabongka Rinpoche, to Trijang Rinpoche, and so on. If we are honest and we truly examine the qualities of the people in our lives, very few people exist altruistically and work solely for the benefit of our minds, with no ulterior motives to gain anything for themselves. Having found such a loving person in our teacher, one would be foolish to abandon them. Not everyone has the fortune to find a Spiritual Guide immediately, some people taking longer than others. In lieu of a Spiritual Guide, the interested practitioner can still rely on a multitude of online and offline resources for further study. Countless books have been written covering the basics of Buddhism, for example The Living Buddha Within authored by H.E. Tsem Rinpoche as well as Introduction to Buddhism by Venerable Geshe Kelsang Gyatso, or even the prosaically-titled Buddhism for Dummies. An increasing number of qualified teachers like Tsem Rinpoche are also making their teachings available online via their websites and social media platforms. Online Dharma courses are also available for those interested in a more systematic approach to study. 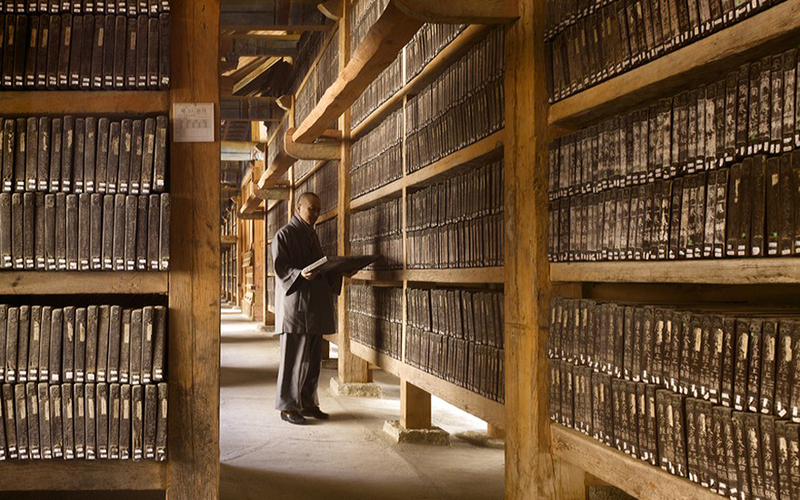 For those new to Buddhism, reading widely is encouraged to gain as much knowledge as possible. With such knowledge, we will be better equipped to identify a school or lineage of Buddhism that we are interested in or we feel an affinity towards. Having identified such a tradition, it is then recommended that, for the time being, we focus on that tradition and pursue it. Buddha Shakyamuni taught 84,000 different teachings to appeal to as many minds. Although the essence of all these teachings is the same, and although all of them lead to the same result (Enlightenment), without the benefit of a Spiritual Guide to identify this for us, new practitioners may be confused by the differing appearance and presentations of the various teachings. These perceived differences may be viewed as a contradiction when, in reality, there are none. Thus, focusing on one tradition, having identified which school of thought appeals most to us, is not done out of favouritism or bias. Focusing on one tradition is more to our benefit because it protects the new practitioner’s mind by preventing confusion and doubt from arising. 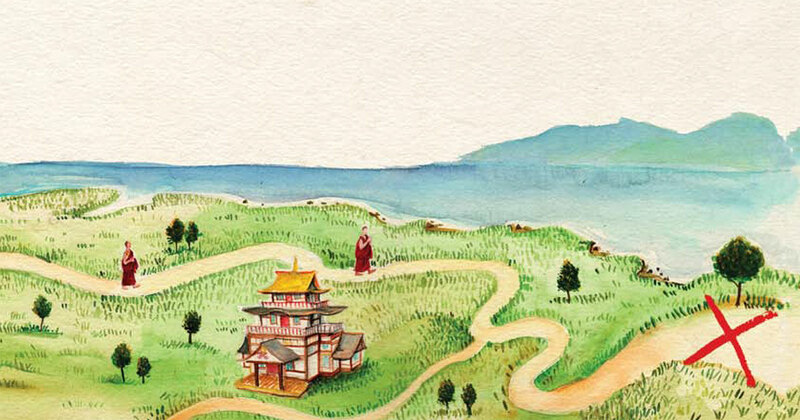 With an ocean of Dharma books easily available, where do we begin? 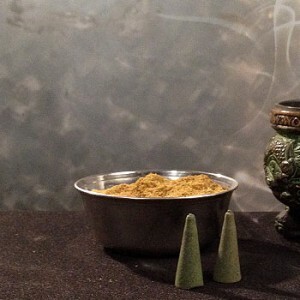 The figures are by no means exhaustive, but are provided as a guideline minimum for us to accomplish before we can move on to higher Tantric practices. In some cases, our teachers may not instruct us to engage in traditional preliminary practices but instead ask us to engage in Dharma work. In this case, the purpose of the preliminary practices may be accomplished when we engage in Dharma work with the correct attitude and motivation. Dharma work involves any kind of activity that serves and supports the temple and the lineage, to make the propagation and preservation of Dharma possible. This can range from working in the kitchen to provide food for the Sangha, to sweeping and cleaning the temple, to organising and teaching classes, to nurturing and caring for sponsors. In the process of engaging in Dharma work, we will come across many opportunities to purify our karma and accumulate merit. For example, obstacles will arise as a result of the negative karma of the people we are trying to benefit, to prevent them from furthering their spiritual practice. In working to overcome these obstacles, we purify our own karma dealing with our frustrations (for example). 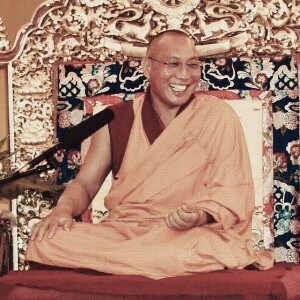 When others benefit from our works and experience a little less dissatisfaction in their everyday lives, or when they become a source of happiness for others, we can take credit for this; creating and strengthening their connection to the Dharma, and having the opportunity to offer our service to the Three Jewels (in lieu of, say, water offerings) allows us to accumulate merit. Some of the concepts above may be abstract to the new practitioner. In such times, it is useful to follow a graduated path of study so that we may gain a deeper, more systematic understanding of Buddhist principles that we can then apply to our lives. Experiencing thus the benefits of applying the practice, we gain firsthand knowledge about the relevance and applicability of Buddhism as a means of enhancing our quality of life and ascending closer to our spiritual goals. In the quest for a systematic path, Gelug practitioners will no doubt find themselves on the Lamrim path. Study of the Lamrim is considered the most fundamental, as it distills the essence of Buddha Shakyamuni’s 84,000 teachings for the practitioner’s benefit. It is said that all Tibetan Buddhist traditions can be traced back to India. 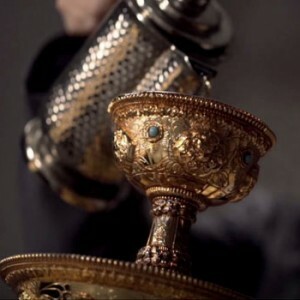 In the case of the Lamrim, it was first taught by the great Indian pandit and scholar Atisha. Living in Tibet at the time, he composed The Lamp on the Path to Enlightenment in apology for his inability to fulfil a promise made to his Guru to return to India within a stipulated time. Having distilled the essence of Buddha Shakyamuni’s teachings, Lord Atisha set out to present a step-by-step method of cultivating the Buddhanature within us such that practitioners may reach Enlightenment in a systematic manner. His text was delivered to his teacher in Nalanda Monastery, where it was presented to all the scholars and monks who debated its content. Finding that it was without flaw, the text was henceforth accepted and taught as part of the body of Buddhist literature. Centuries later, Kyabje Pabongka Rinpoche would present to the world the Southern Lamrim Tradition. A synthesis of the various Lamrim traditions taught over the many years since Atisha’s time, the tradition presented by Kyabje Pabongka Rinpoche had its validity authenticated by His Holiness the 13th Dalai Lama. This is the current tradition of Lamrim relied upon by all Gelug practitioners, which was expounded over 24 days by Kyabje Pabongka Rinpoche. 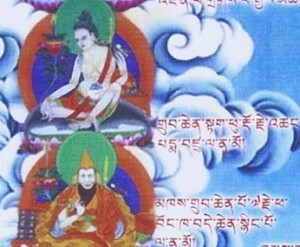 The teachings were later recorded and edited by his heart disciple, Kyabje Trijang Rinpoche. Like Atisha’s Lamrim tradition, Kyabje Pabongka Rinpoche presented the path to Enlightenment in a graduated manner, to suit the ability of three types of spiritual persons categorised on the basis of their motivation (whether small, intermediate or supreme). 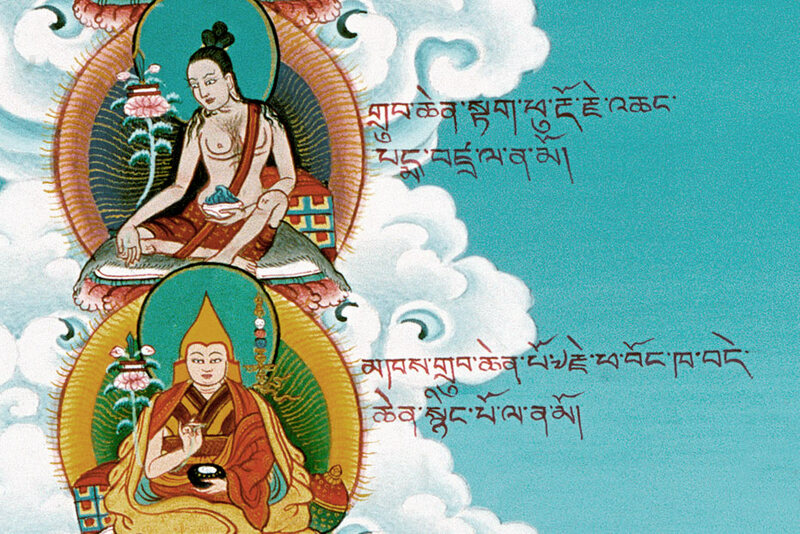 Kyabje Pabongka Rinpoche was famed for using language and examples that ordinary laypeople would find relevant and decades later, they still certainly do. Having become familiar with the general teachings of the Buddha, a Guru may then impart the mind transformation (Lojong) teachings onto the practitioner. This set of teachings is crucial to developing a daily practice, and it focuses on refining and purifying one’s motivation and attitudes. The Lojong teachings can also be traced back to Atisha, who first described them in his book The Lamp on the Path to Enlightenment. These teachings were based on his studies with the great master Serlingpa, who composed The Wheel of Sharp Weapons, a text detailing the workings of karma. Other masters of the Lojong teachings include Geshe Langri Tangpa, who composed the Eight Verses of Mind Transformation. This is considered a succinct yet complete summary of the Lojong teachings and has become extremely popular around the world for its clarity, accessibility and relevance even amongst those who do not consider themselves Buddhist. It is one of the core teachings at Kechara House in Malaysia, the Dharma organisation established by H.E. Tsem Rinpoche. While it may not be strictly necessary for a practitioner on the Sutric path to have a teacher, one is required to have a Guru in order to start on higher Tantric practices. 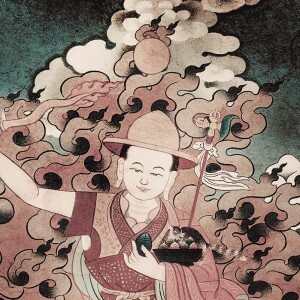 Not only are the higher Tantras more esoteric but it is necessary to have the Guru initiate the practitioner into the deity’s mandala, in order to receive the full benefits of the practice and the blessings of the lineage lamas. Thus, having mastered the Sutric path, the practitioner may then, with the Guru’s permission, advance onto the Tantric path. At this point, the Guru will initiate the practitioner into yidam practices like Heruka, Yamantaka or Vajrayogini. These practices incorporate much more subtle points in meditation and visualisation, involving the movement of winds and energy channels. Of all the Tantric systems in existence, eminent scholars and attained masters recommend Vajrayogini as being the most appropriate Tantric practice for spiritual seekers of today. They speak of contemporary practitioners having a close karmic affinity with this female Buddha, whose practice harnesses our desire energy, redirecting it towards an enlightened goal. These masters also recommend her practice for its simplicity, which is relative to the other Tantric deities who manifest in more complicated forms. Though her form is simple to visualise compared to, for example, Kalachakra (who has a different colour for every fingernail! ), her practice is no less potent in its ability to develop the qualities of our subtle mind. 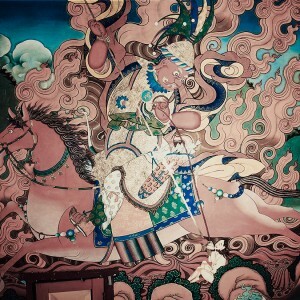 Vajrayogini, whose celestial paradise Kechara lends its name to H.E. 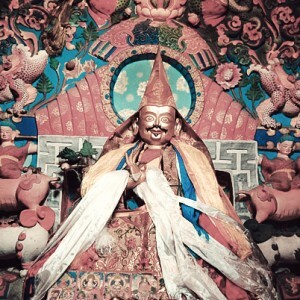 Tsem Rinpoche’s organisation, is practised in the different schools of Tibetan Buddhism and the current Gelug lineage of Vajrayogini can be traced to the Indian mahasiddha Naropa. If a practitioner relies on any Tantric deity consistently, these practices become potent tools in advancing our spiritual progress, particularly if our practice is combined with efforts to maintain a positive relationship with our teacher. 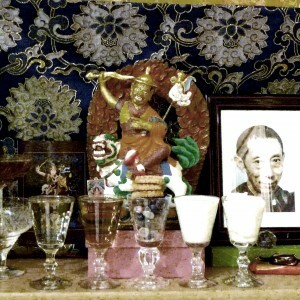 Kyabje Pabongka Rinpoche was a great proponent of Vajrayogini’s practice and through a vision of her, he prophesied that any students who receive her lineage within four generations of him will ascend to her paradise within seven lifetimes. A guaranteed rebirth in a Buddha’s paradise or pure land is considered extremely ideal and highly precious because it represents an opportunity for the spiritual practitioner to learn directly from the enlightened beings themselves. Consider the difference between learning from the scientist who authored the research paper, versus the scientist who read the paper once. The result in the student will be vastly different! As you can see, there is a substantial path ahead of us beyond our Dharma Protector practice. 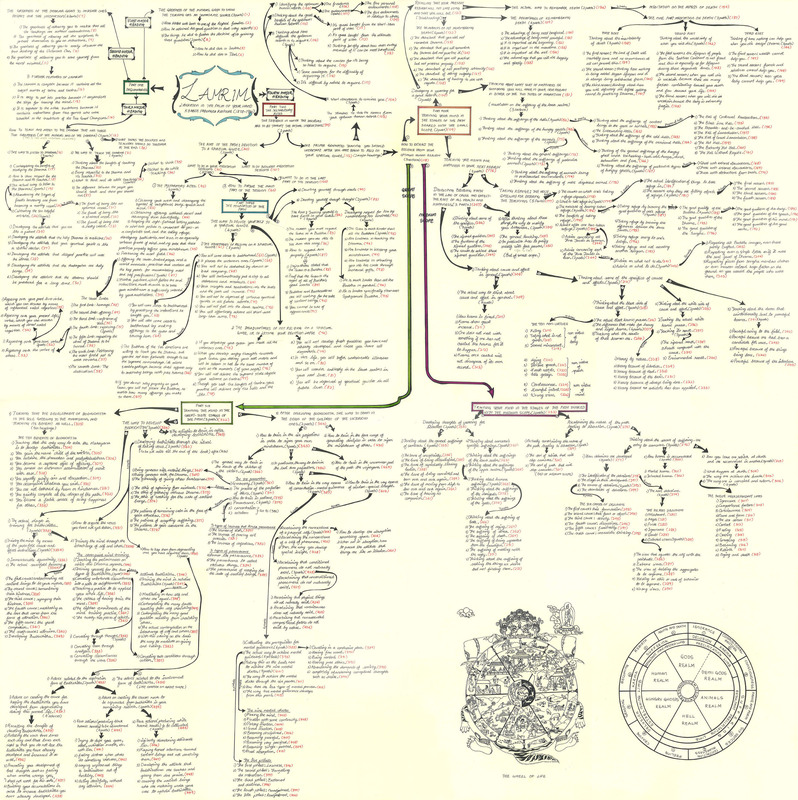 The concepts described above are generalised insomuch that to understand them in their entirety and fully master them can take years. Still, the most basic Buddhist concept that even non-Buddhists will be familiar with is karma. And knowing about karma (the law of cause and effect), it would therefore benefit any spiritual practitioner to make a connection with the Buddhas, no matter how distant they may seem given our current condition. When we can visualise the enlightened state we wish to achieve, and we vocalise aspirational prayers to achieve that state, it creates the causes for our minds to move closer to fulfilling our spiritual potential. So for those who are new to Buddhism, Tantric practices may seem out of our reach for the time being. Recognising this fact, our Dharma Protector practice becomes all the more essential. In the time it will take us to develop the qualities necessary to be initiated into Tantra, obstacles will manifest as a result of our negative karma, to stop us from entering this most beneficial of traditions. The Dharma Protector practice will help us to clear these obstacles and smoothen our journey towards spiritual fulfilment. This article is really helpful for practitioners. It helps not only who are new to Buddhism but also those who have engaged in Buddhism practice but do not understand enough or do not have a spiritual guide to them. To have a guru to guide one along the spiritual path would be the atmost importance – who will help to bring out your inner guru. It explains well that Dharma Protector practices are regarded as essential but it does not negate the importance of other practices, it will not replace the need to transform our mind in order to purify our motivation and attitudes. This could shed light to many who might think protector practice is enough and no other practice or teachings are needed. What I like about this article is that it is like a manual to start the practice. As beginners, whenever, we find time on our hands, we can go and read up the recommended topics. That is good as sometimes what we think is interesting can get complex and we are not ready for it. That may eventually lead to our being confused and losing interest altogether. Of course, having a Guru is such a blessing, as he can guide you on your path but that is only true if you have Guru Devotion and keep your samaya clean. So, before one is ready, one can start on the basics as advised here. The above sentence sounds very simple but is so very important to remember, that there will be so very obstacles in so many forms that we will need help, divine help. Thanks for a very structured and informative article. This is a very good article for those who are new to Buddhism. 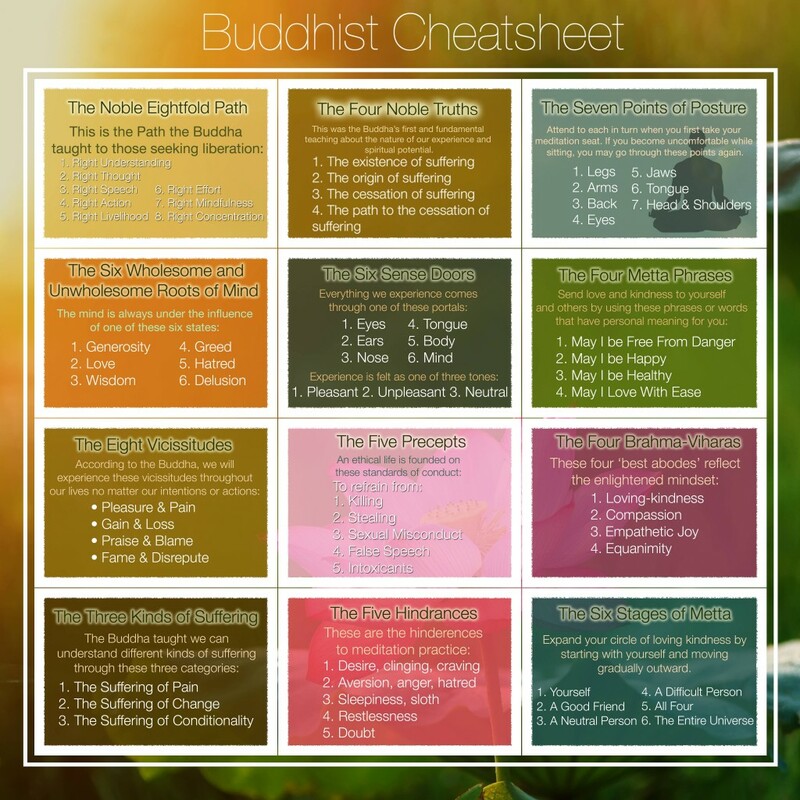 It gives an overall picture of what is Buddhism is all about and where to get started. 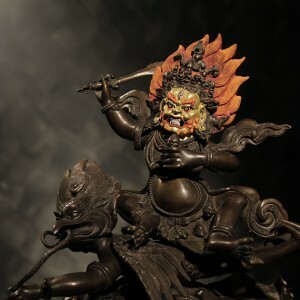 Dharma knowledge and Dharma Protector practice such as enlightened Dorje Shugden, both is essential. It is even more important to have a Spiritual Guide. A genuine authentic Spiritual Guide is able to recognize our good and bad, pressing our buttons, break our habituations which always make us unhappy and dissatisfy. Our mind will then transform much quicker, lead us to higher spiritual achievement, and towards enlightenment. 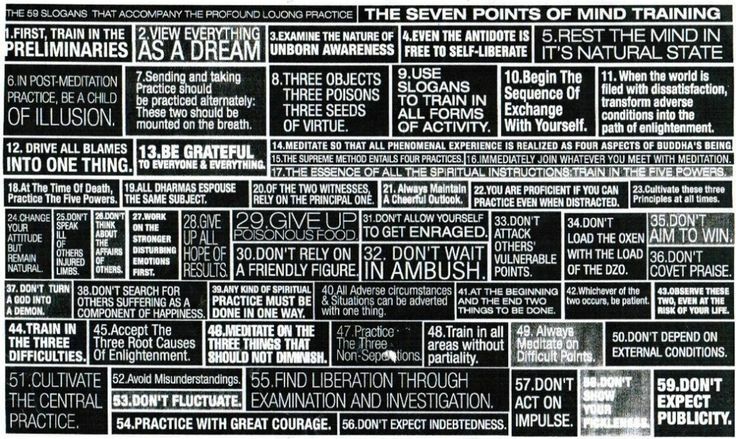 This is the checklist for all sincere Dharma practitioners. In our spiritual quest, our minds often play games tricking us to think of all the hardship and difficulties. With this checklist, we have a full view of the grounds we need to cover. When we propitiate Dorje Shugden as our Dharma Protector, many naysayers accused us of solely focusing on the practice of Dorje Shugden. But in actuality, Dharma Protector practice is just a small portion of the entire game plan. We can all see for ourselves here. This is a well-written article which can treat it as a guideline to the sincere Buddhist practitioners what to do for their spiritual path. Basically, it is highly recommended to have a qualified Spiritual guide or guru with pure lineage. This is because a qualified guru will have all the qualities same as the Buddha, able to deliver the Buddha’s teachings correctly and able to train our mind and practice. 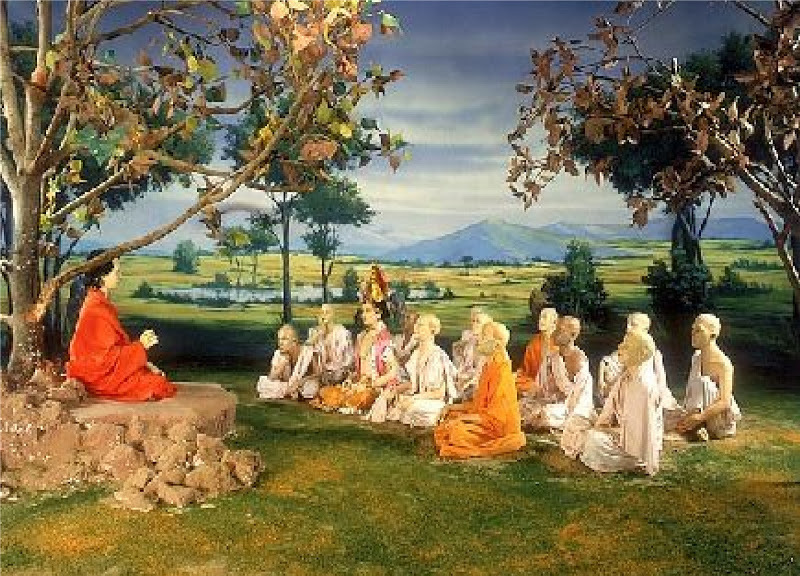 Without the guru, we might able understand the Buddha’s teachings in basic or simple concepts. But, when come to the higher level of learning for example emptiness or the tantric practice, we still need a qualified guru to guide us accordingly. Therefore, guru devotion is very important in spiritual practice. From guru devotion, we receive the blessings of the guru which could helps us in realization and ultimately bring us to achieve enlightenment. I really like this article because it laid down the overview of spiritual practice. As it is an overview, we can see clearly that our spiritual path does not hang onto to a single aspect. It is a combination of (most importantly) Guru devotion, studying both the concept and the scripture, applying / mind transformation, as well as doing the practice. When we are in this human form, we must not waste it on mundane concerns. The least we can do is to do more practice and dharma work to purify our karma and gain merits, so that we can either in this lifetime or future lifetime be able to develop realization towards enlightenment. Practising the Dharma is not an easy task as it takes a huge amount of awareness and to make changes whereby we are most comfortable with. As there is a saying that all that is excellent and profitable take hard work and perseverance, therefore embarking on the road of spirituality to enlightenment will definitely take many life times and a lot of hard work. This article is a guide to how get it done. Find a Guru that you have checked out on his lineage to be authentic and follow His advices. In my personal opinion, the practise of Dorje Shugden has been a joyful journey and it is now to go to the next steps. I am fortunate enough to have both my Guru, H.E. 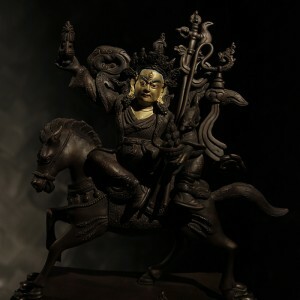 the 25th Tsem Rinpoche and my Protector, Dorje Shugden, may I have the merits to continue my spiritual journey from this life to future lives to enlightenment. will takes years of our time. So, one has to devote one’s life to this end. This is still no guarantee that we will be ready for tantra upon completion of these preliminaries. There will be more retreats prescribed by one’s teacher/Guru to achieve the mind transformation required for one to be able to receive tantra. So, sometimes, I feel that we can just strive to be good humans so that hopefully, we may have enough merits or good karma to be reborn near dharma even if not reborn as a human. This is a condensed guidance to the advancement of your spiritual path to enlightenment. The easiest way is to find ourselves a spiritual guide or Guru, who will guide us to eliminated our negative karma and guide us to enhance our positivities. However, for some finding a Guru may be filled with obstacles. 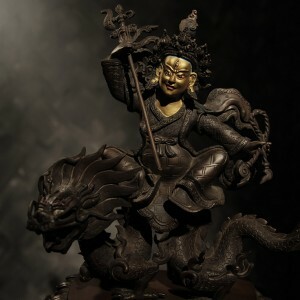 As such if we first embark on the practice of Protector DorjeShugden, we fill find the way as it is DorjeShugden’s compassionate nature to help us overcome our obstacles on our spiritual path. Having faith in DorjeShugden and being vigilant in our practice, our next step towards success in our spiritual path is more ensured. Read this article for fulfilment of what is next.